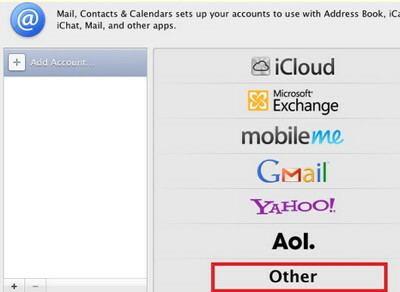 If email fails after the account has been created, see the 15 minute video Troubleshoot Email Settings Video Walkthrough - OS X.
Click on Mail, Contacts and Calendars. 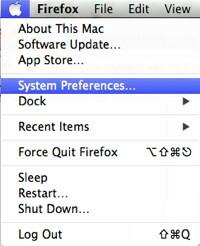 Select Other from the list of options on the right. A new window pops up, usually with Add a Mail account already selected. 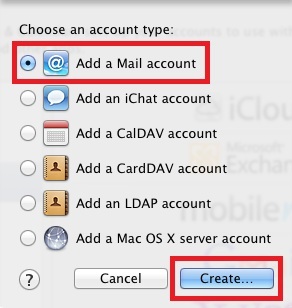 Select Add a Mail account then click Create. Enter your Full Name(Jane Doe, or Sally Smith), Email Address and Password, then click Create. After the server verifies the account name and password you may be prompted to click Continue. Select POP from the Account Type drop-down menu. Advanced users may use IMAP. User Name must be the full email address. Enter the password for the email address entered. 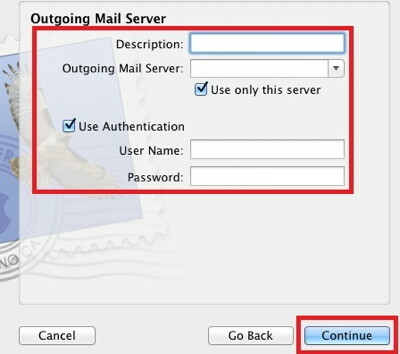 For olympus.net email (janedoe@olympus.net), enter mail.userservices.net in the Outgoing Mail Server field. 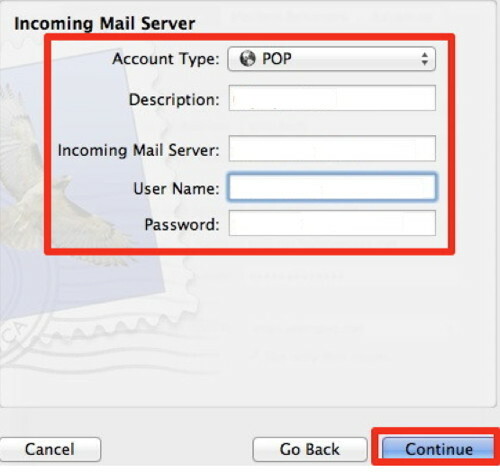 For email in your own domain (sally@example.com), enter mailc11.megamailservers.com in the Outgoing Mail Server field. For Description, if you have more than one OlympusNet account, your username or full email address might be best to tell one account from another. The User Name must be the full email address (not optional). Enter the password for the email address (not optional). Check the checkbox next to Use Secure Sockets Layer (SSL). If you do not see the SSL settings dialog box, continue. If you’ve entered your information correctly, you will be presented with an Account Summary window. Click Take Account Online, then click the Create button.